I opted for a sample of Phyto’s Phytobaume Volume Express Conditioner in hopes that it really does increase volume – a difficult feat with long and thin hair. I read reviews saying that “this stuff really works!” and “you only need a little bit”. I was hesitant, however, because others wrote that this “smelled strong” and “awful”. Being an experimenter, I decided to try it despite the nays. Surprisingly, I completely disagree with all of the above remarks. I think that the conditioner smells pleasant and not so strong as to note the strength of the smell. Unfortunately, I observed no volume changes. It didn’t kill volume, not did it increase it. It conditioned the hair alright, but not super. I wouldn’t recommend Phytobaume Volume Conditioner because of all its contradicting reviews. It’s a conditioner that is good, but it doesn’t stand out. Dandruff can be an unsightly, itchy, and hard-to-get-rid-of problem, caused in most cases by inherent dry skin or over-shampooing. Some shampoos marketed for the removal of dandruff may not actually get rid of it, and sometimes even exacerbate the flaking. The effects of Phyto’s Phytheol Intense Anti-Dandruff Treatment Shampoo were tested by a head with abundant dandruff. It worked! With each wash, there was ever less. After 8 times use (once every 3 days for a total of 3 weeks), it was all gone! Phytheol Intense worked just like it said it would. However, there is a side effect to using this shampoo – dry hair. Investing in a moisturizing conditioner, especially if treating a scalp with hair that is already dry, will help to maintain healthy hair while undergoing treatment. 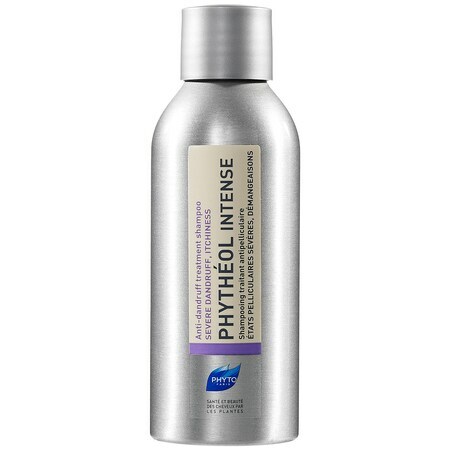 If you suffer from dandruff and nothing seems to work, give Phytheol Intense a try. Being dandruff-free is not only healthy, but also boosts confidence! Many people are unsatisfied with their hair. It’s too thin, too thick, frizzy, limp, dry, coarse, fragile, dull, or a combination of these. Then there are the scalp problems: excess oil, dandruff, sensitivity. Shampoos and conditioners on the market all claim to address at least one of these concerns. A lot of them do not meet the standards of their consumers. Sometimes they work, but at the expense of another attribute. Or they work, but not well enough. I’ve tried three Alterna products so far and I’m satisfied with all of them. Bamboo Smooth Anti-Frizz Shampoo & Conditioner made my hair super-sleek, but there was a little bit of volume reduction after use. For thick hair, this may be a bonus, but for fine hair like mine, I need all the volume I can get. Alterna’s Caviar Shampoo & Conditioner duo make the hair sleek and shiny, although not as sleek as Bamboo Smooth. On the other hand, they do not kill volume as much as the latter. The smell is also not as nice as either Bamboo Smooth or Carol’s Daughter Black Vanilla Moisturizing Shampoo. Both Caviar Shampoo and Bamboo Smooth are superior cleaners – the hair stays clean longer compared to Black Vanilla. In terms of moisturization, the shampoo hydrated my hair well. Hair is also straighter than normal. Alterna’s hair products are proving to be very good. For hair that needs a lot of sleeking, Bamboo Smooth Shampoo & Conditioner should work wonders. For hair that wants just a bit of silkiness without a dent to volume, Caviar is the better option. 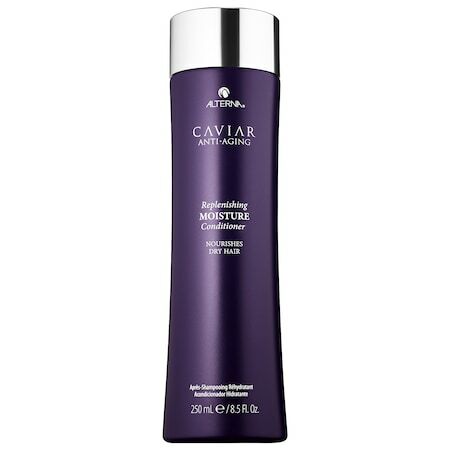 Alterna Caviar Anti-Aging Replenishing Moisture Shampoo: 1.35oz (ml) for C$9.00, 8.5oz (ml) for C$37.00 @ Sephora.ca. Alterna Caviar Anti-Aging Replenishing Moisture Conditioner: 1.35oz (ml) for C$9.00, 8.5oz (ml) for C$37.00 @ Sephora.ca. Not all of us have time for a relaxing bubble bath when we need it most. Luckily, aromatherapy comes in a variety of forms, including soaps, shampoos, and lotions. So long as the smell is not overwhelming, scented products are a delightful boost to a grey mood. Black Vanilla smells charming. Although a far cry from vanilla, the scent is delicate and warm. It does not scream. After use, just like it says, the hair is left soft. However, compared to other shampoos, Black Vanilla is a poor cleaner. After colouring, for example, I only need to wash my hair once for it to be clean, but with this shampoo, that wasn’t enough. I have to thoroughly lather and thoroughly wash out the suds. Even then, I find my hair gets oilier quicker than usual. Black Vanilla is a gentle shampoo that softens the hair. The lingering scent gets compliments. The shampoo’s set of ingredients, however, makes washing thoroughly a priority and more often a necessity. Carol’s Daughter Black Vanilla Moisturizing Shampoo: 8oz (236ml) for $8.45 @ CarolsDaughter.com. Sleek and silky is easier to achieve with fine hair, but fine hair can get dry fast and easy. I’ve been looking for a while at Alterna’s Bamboo Smooth line and finally received a sample. After only one time use, my hair condition improved. Hair was indeed sleek and silky, and, especially important for my kind of hair, moisturized. My ends no longer looked like they were going to split any minute. I should also mention the high shine factor. My hair reflected light as if it was recently coloured. The shampoo has a markedly different texture than other shampoos – it’s less gel-like, less soapy, and has a coating feel. Whatever this coating is, it stayed in my hair after washing with a different shampoo and I don’t mind at all. There is nothing negative to say about Bamboo Smooth. My hair loved the product duo! I highly recommend the line for those with fine hair. 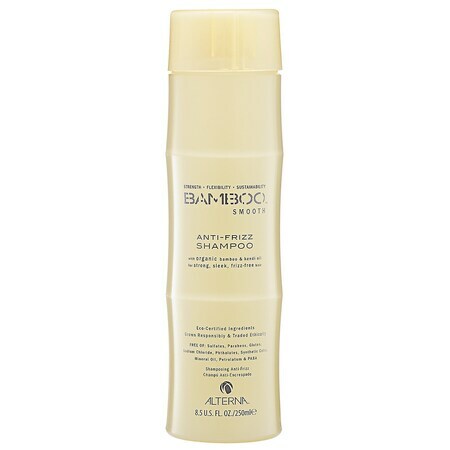 Alterna Bamboo Smooth Anti-Frizz Shampoo: 8.5oz (250ml) for C$25.50 @ Sephora.ca. Alterna Bamboo Smooth Anti-Frizz Conditioner: 8.5oz (250ml) for C$25.50 @ Sephora.ca.